We respect your privacy, and will never share or sell your info. We've been wanting to put together some of our favorite wedding venues for awhile now. Often we're asked about venues, and sometimes wedding venues are not the easiest things to find--especially the perfect wedding venue for YOU! Because that's what's important. 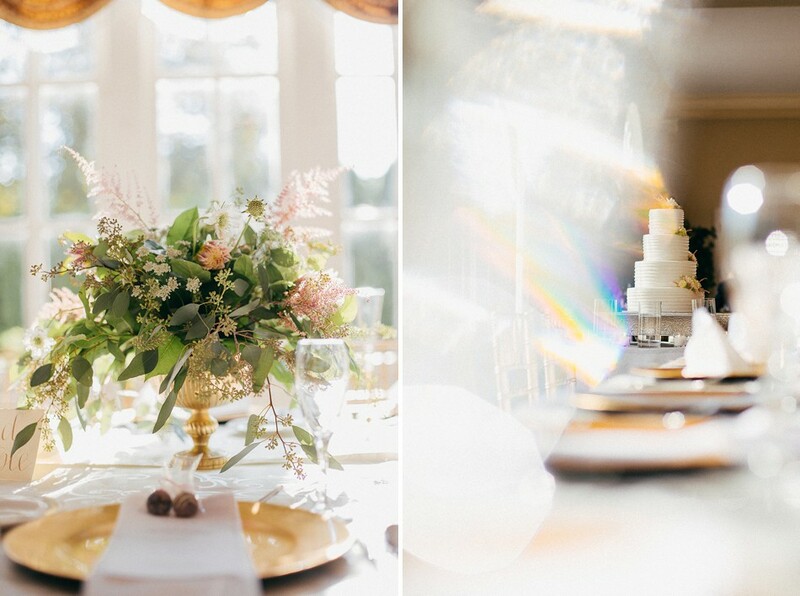 Your wedding venue should reflect you and what you love. Do you love the outdoors, the city, the beach? Maybe you want something intimate or would rather celebrate with an event that is big and grand! 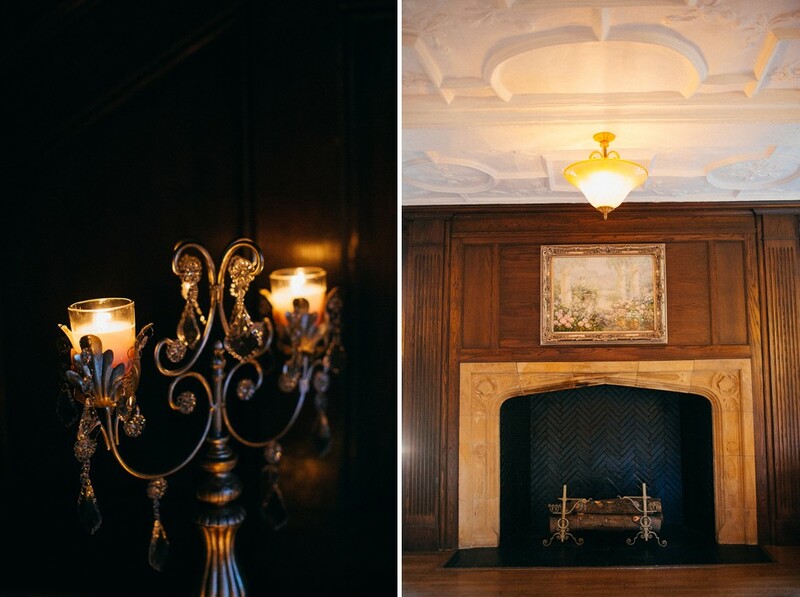 Once a private residence, this 1927 mansion is full of unique craftsmanship and has the ability to wow wedding guests. The gardens that surround the property are breathtaking and the interior has everything your looking for, beautiful rooms to get ready in, a light filled ballroom, and a library for cocktails. We love this Main Line, PA country estate! 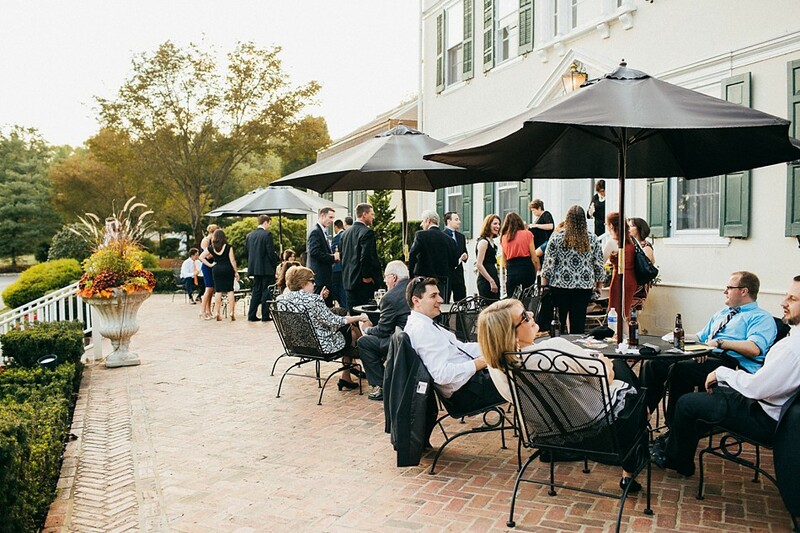 Enjoy your reception on the covered stone patio, and take in the beautiful gardens that surround this 24 acre estate. 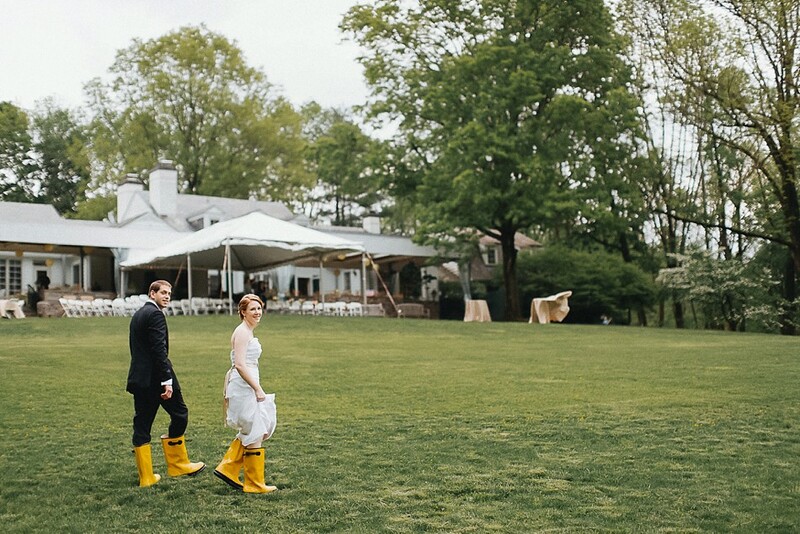 From the boxwood garden, to the tree lined walk and pond underneath a picturesque willow, allow for plenty of portrait locations, and areas for your guests to wander enjoy a cocktail. Enjoy Bucks County beauty and serenity. If you're looking for something that is a little more rustic, Ash Mill Farm has what you're looking for. Almost right across the road from Ash Mill Farm is a beautiful farm and Inn called Barley Sheaf. Drive down the long treelined drive to arrive at a beautiful estate. You can have your wedding inside or out, and enjoy the rustic chic that Barley Sheaf has to offer. With the gardens, pond, and one of the most gorgeous "getting ready" rooms we've ever seen! Oh, and they have mini horses!!! Looking for beautiful, lush, gardens and a rustic backdrop just minutes from downtown Philadelphia? Bartram's Garden has you covered. 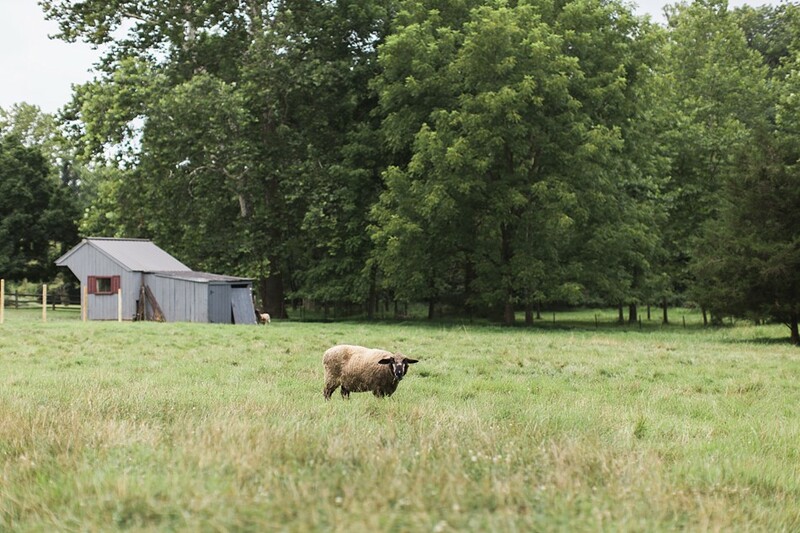 Escape in the gardens, and also take in the Philadelphia skyline in a meadow! Bartram's Garden truly is a unique wedding venue that always amazes us. If you want to wow your guests with a large estate wedding Cairnwood Estate is it. The architecture is breathtaking, and the super large patio can hold your ceremony and reception all outdoors!!! Oh and the interior is absolutely grand. So whether your wedding is in July or February, Cairnwood Estate will no doubt be a beautiful backdrop for your wedding. 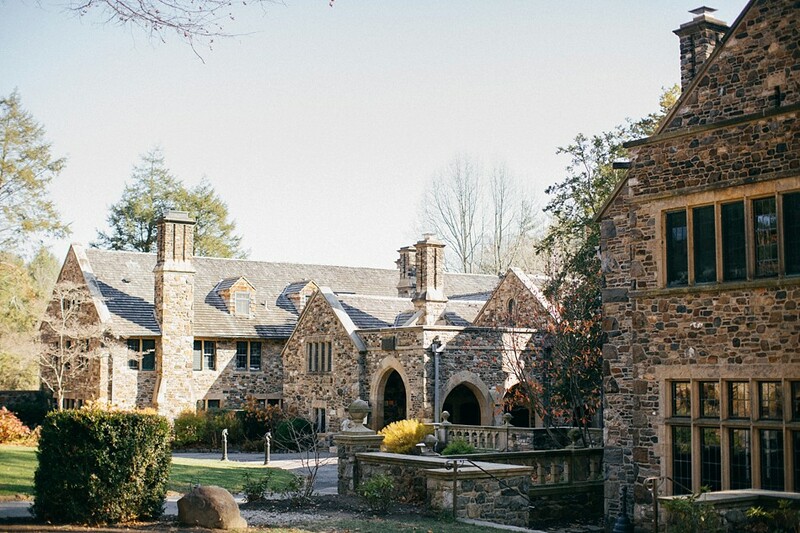 Just outside of Wilmington Delaware, drive up a long drive to discover this unique wedding venue. The grounds include many different gardens for your ceremony. Located in New York's beautiful Catskills. Cedar Lakes Estate offers a perfect romantic getaway. Have your ceremony on a mountain top, and your reception in a garden under lights. Cabins (rustic and high-end) are available for your intimate wedding. So make it a whole weekend event and invite your family and friends to take in the Hudson River Valley with you! 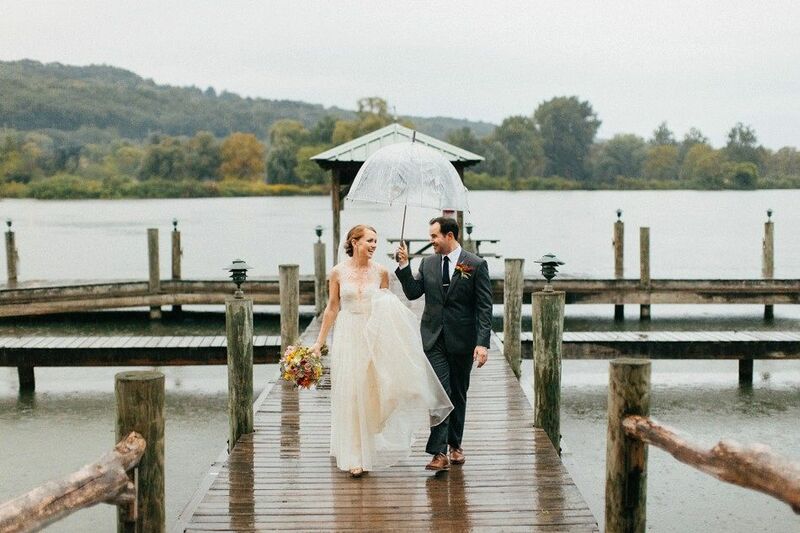 Have your upstate New York wedding at a winery overlooking Seneca Lake! 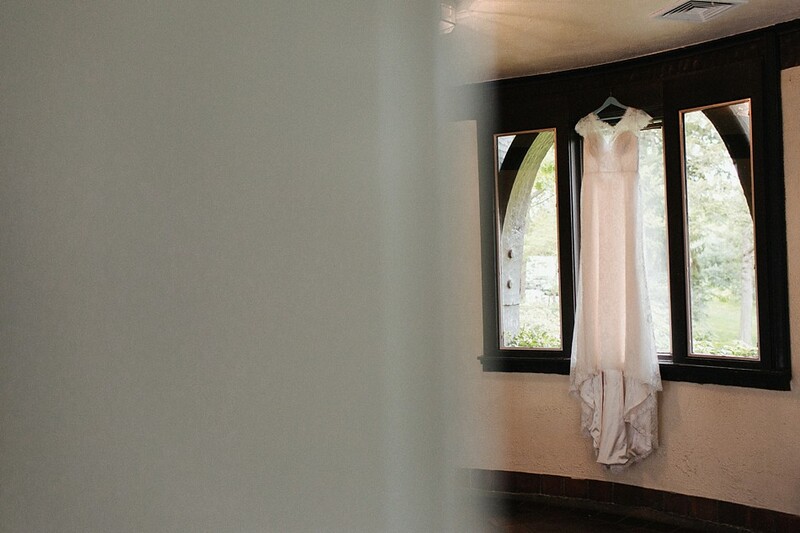 Chateau Lafayette Reneau is the perfect destination for your intimate Finger Lakes wedding. Have your ceremony in the vineyard and your reception outside under the lights. Sip on some of the best wines of the region, and your guests can even stay at the quaint bed&breakfast on site or another along the road. 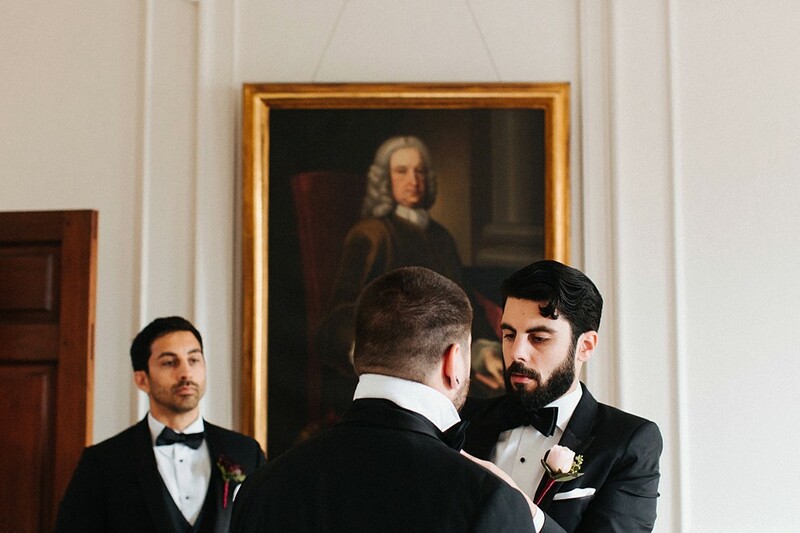 The Clivedon House built in 1767 provides an estate wedding feeling within the city of Philadelphia. Surrounded by acres of specimen trees, gardens, stone patio, and a romantic drive, Clivedon has a lot of charm! We respect your privacy, and will never sell or share your info. Ever! Quirky is the first word that comes to mind when thinking of the College of Physicians. Located in the heart of Philadelphia it's the home of the oldest medical society in the country. Walking in you'll notice the grand staircase and the huge ballroom with historical medical portraits on the wall. Outside you'll find a beautiful garden to have your ceremony... A perfect wedding venue in the city, when you want the history Philadelphia has to offer, but also have the gardens other venues out of the city offer. Nestled in the middle of Rittenhouse Square Philadelphia sits a small and unique wedding venue. 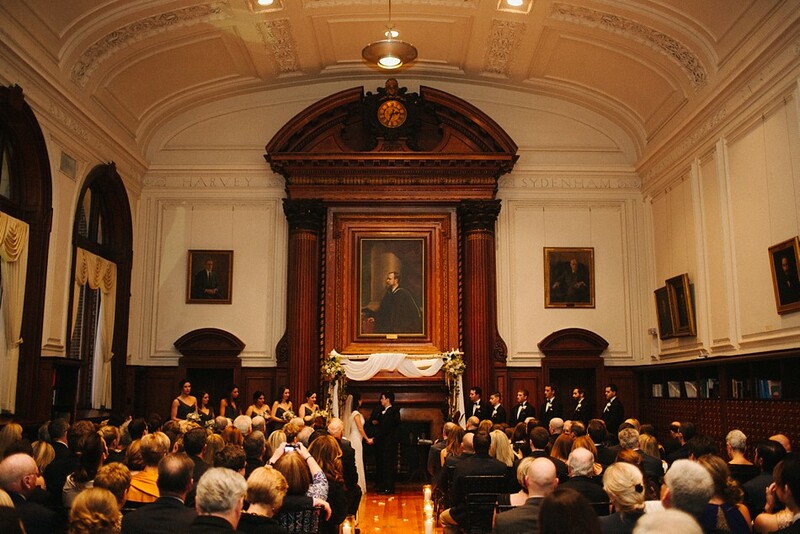 The Pennsylvania Society of the Colonial Dames is a departure from your typical city ballroom wedding. The exterior of the house includes beautiful gardens and the inside is decorated with antiques. An industrial chic wedding venue in the heart of Brooklyn! The Green Building will allow you to dress this incredibly inspiring space up or down to your taste! Everything in Philadelphia seems to be historical, and the Glen Foerd Mansion has the goods. 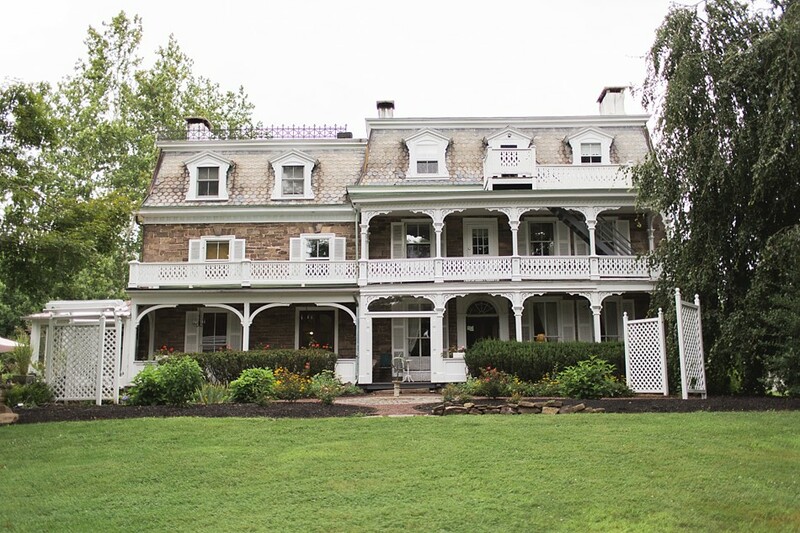 Located just off the Delaware River, this property allows you and guests to take in the beauty of the River, and check out the history of the estate at the same time. The tranquil grounds and awe inspiring interior has this one at the top of our list! Holly Hedge Estate holds a small place in our hearts! Get out of the city and enjoy the best of what Bucks County has to offer! When you turn off the road and enter Holly Hedge Estate, feel free to take in the quiet, and know that you and your guests will be taken care of. With gardens and grounds to brag about, they also offer 15 rooms for your guests to stay. 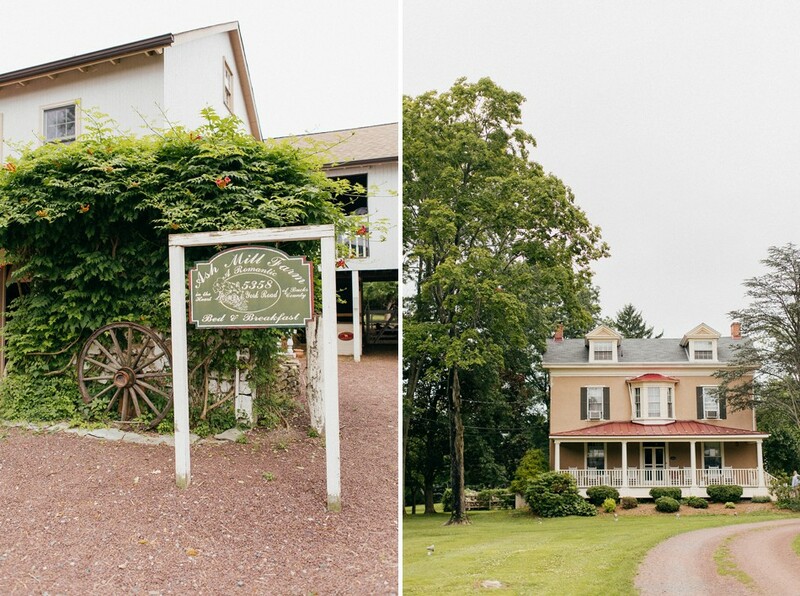 A perfect rustic chic wedding venue in Pennsylvania's Bucks County. This amazingly grand English country manor sets the tone for a beautiful garden themed wedding and provides deep dark wooden hunter vibes in the interior! Talk about unique! Located upstate in beautiful Ithaca. A beautifully rustic space that's like a blank canvas which can be dressed up to your liking. Situated on the Cayuga Lake Waterfront it has plenty of gorges and waterfalls for some breathtaking photography locations, Ithaca Farmers Market is a great venue for an Upstate New York wedding. Located just outside of Philadelphia, John James Audubon Center is a beautiful and peaceful location. Explore the wooded grounds home to many bird species and owls! 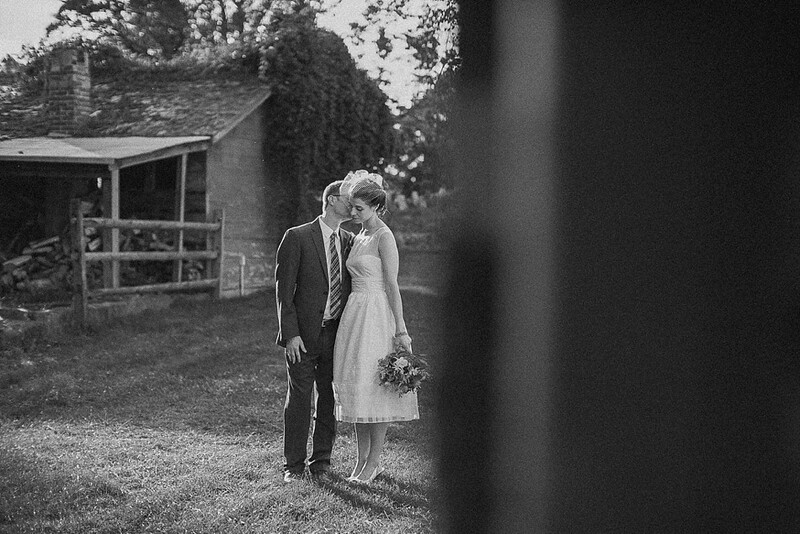 You can choose between an 18th century fieldstone barn, or their open pavilion for your reception. 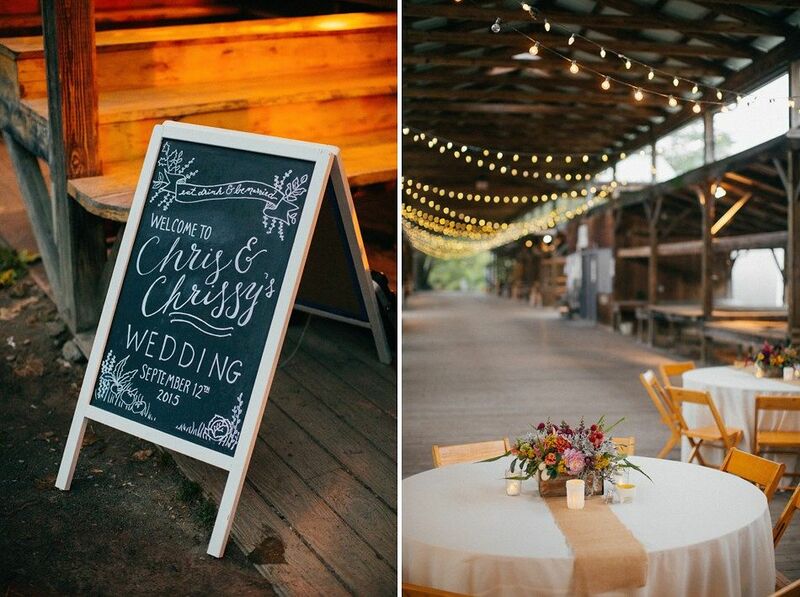 Absolutely one of our favorite rustic inspired wedding venues! A large estate restored with charm. 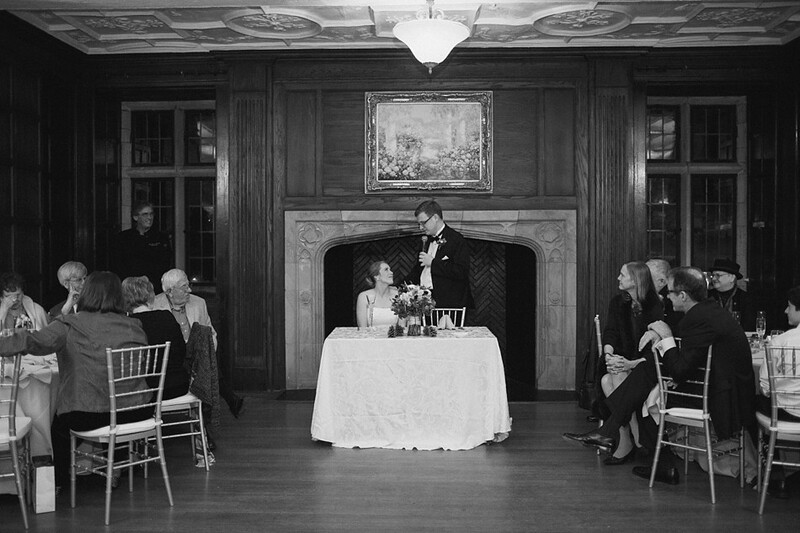 Knowlton Mansion has the perfect blend of historic charm with modern conveniences for a Philadelphia wedding venue. Enjoy the gardens, stables and pergola for your ceremony. The large conservatory with beautiful early evening light is a great setting for a reception. Located outside of beautiful and historic Princeton NJ. Drive down the long drive to get to this tucked away house that overlooks a lake and is surrounded by forest land with beautiful trails. Enjoy the babbling brook and walk right up to the lake! Mountain Lakes House is the perfect Princeton wedding venue when you just want to get away and celebrate your love with your friends and family! 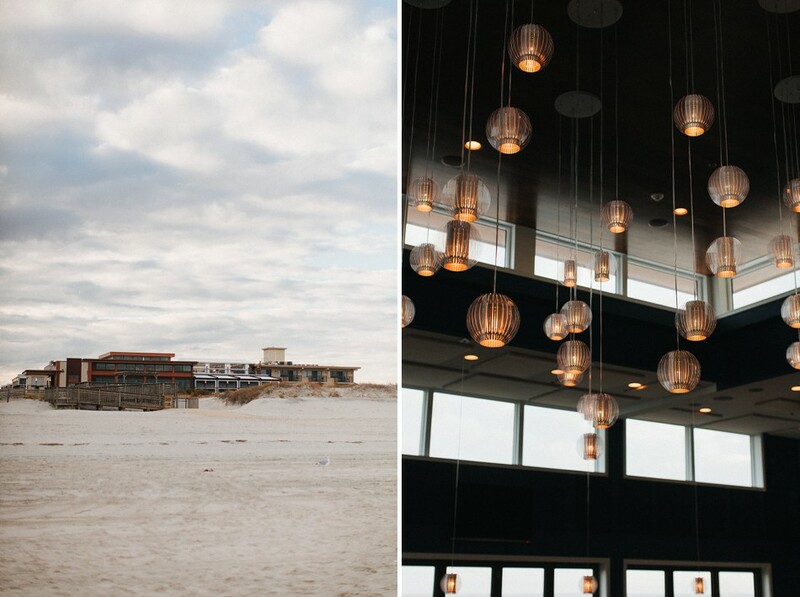 This New York wedding venue is located on the gold coast of Long Island between The Hamptons and New York City. Oheka Castle is THE venue if you want to wow your guests with grandness! 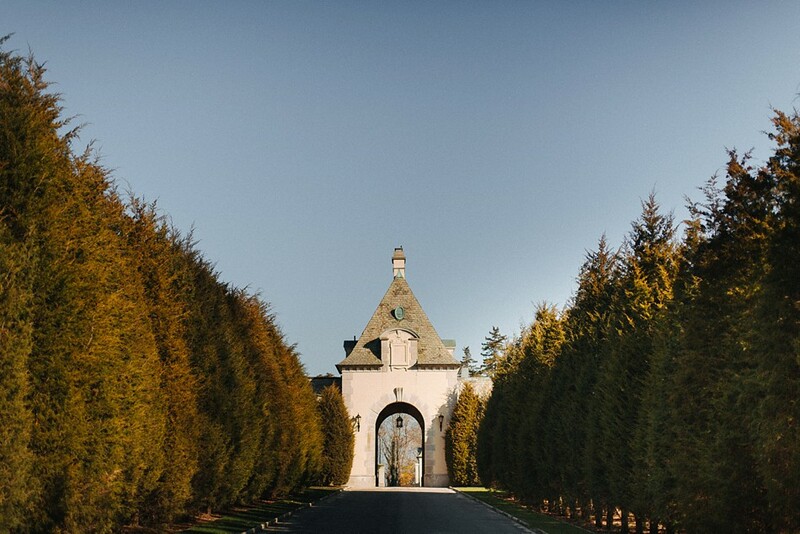 Just a short car ride from New York City, drive up the private tree lined drive, and OHEKA will be revealed with a red carpet into the castle. Guests can enjoy the gardens, library, bar, and stay in one of the 32 amazingly luxurious suites. Think Great Gatsby, and don't be scared to go "over the top" because OHEKA Castle just screams of the decadence of the Roaring Twenties. Famous writer Pearl S. Buck's farmhouse is located outside Philadelphia, in Bucks County. On the site are amazing gardens, stone patios, and a customizable pavilion. You'll have plenty of options to make the space work for you create a wedding that is uniquely yours. 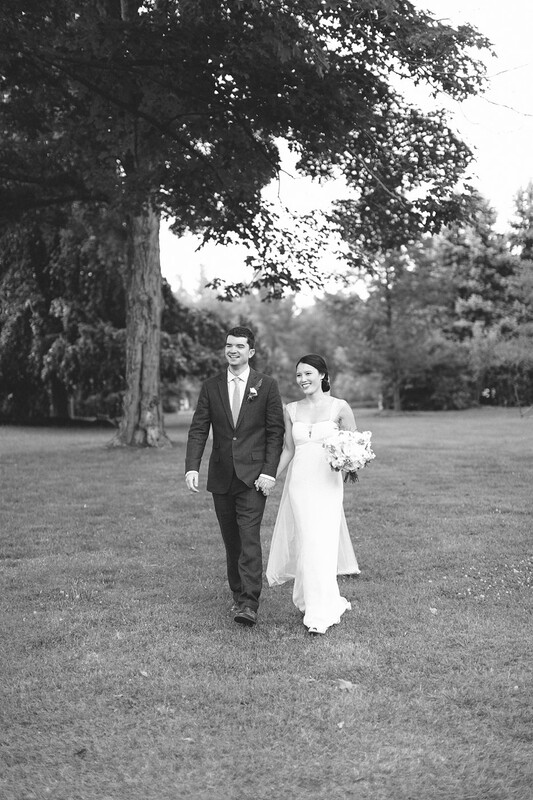 Pearl S. Buck Estate is a perfect Bucks County wedding venue! The Pen Ryn Estate is situated on the banks of the Delaware River, and has a rich history. 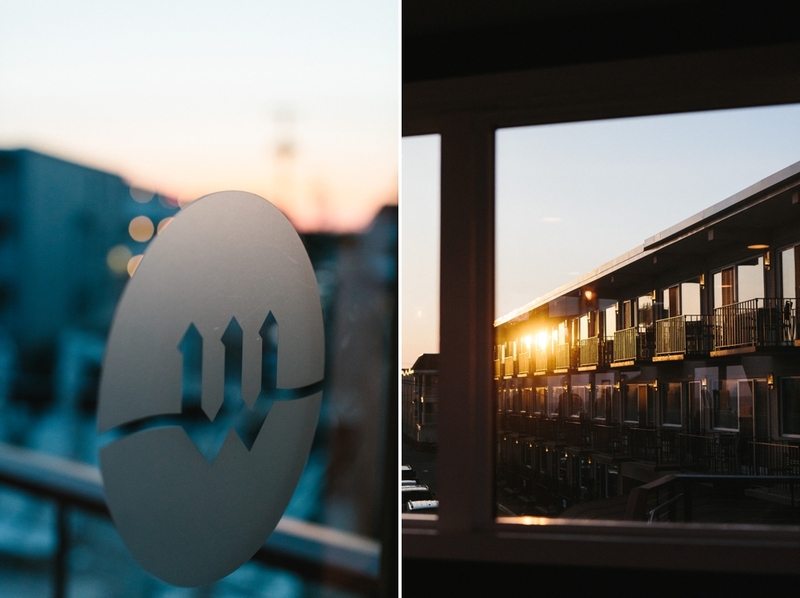 Located on over 100 beautiful wooded acres and overlooking the waterfront, your guests will surely enjoy the views and taking in the nostalgia that Pen Ryn has to offer. 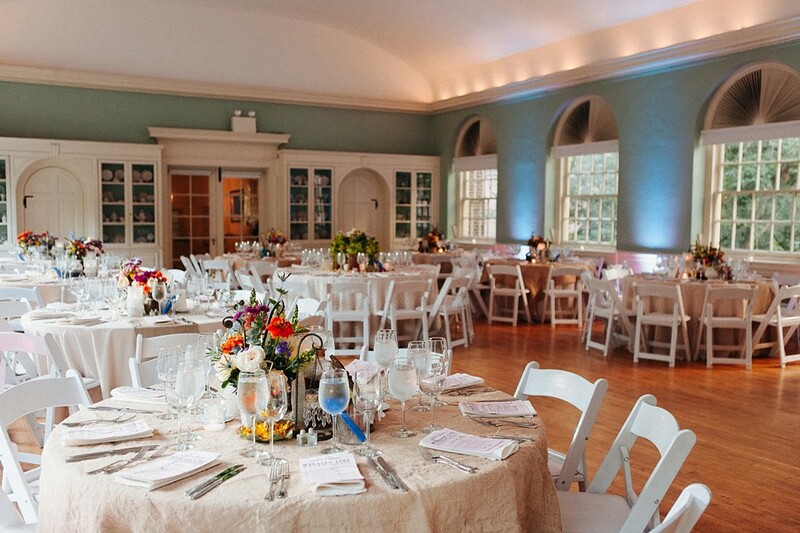 Powel House is loved Philadelphia wedding venue for us. If you're looking to have a small and intimate wedding in the heart of Old City Philadelphia look no further. Powel House is steeped in history. Built in 1765 and only blocks from Independence Hall, with plenty of gorgeous and historical backdrops for photos. 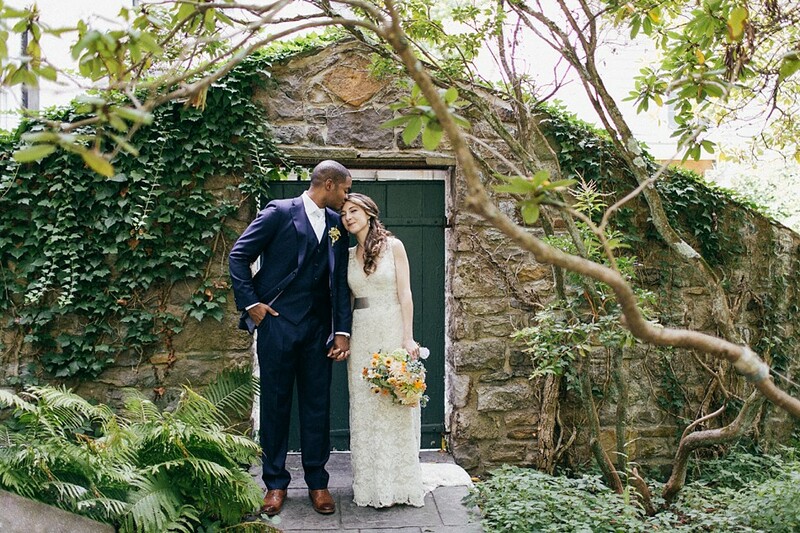 The grounds offer a beautiful garden outside, and historic artifacts inside perfect for your Philadelphia wedding. 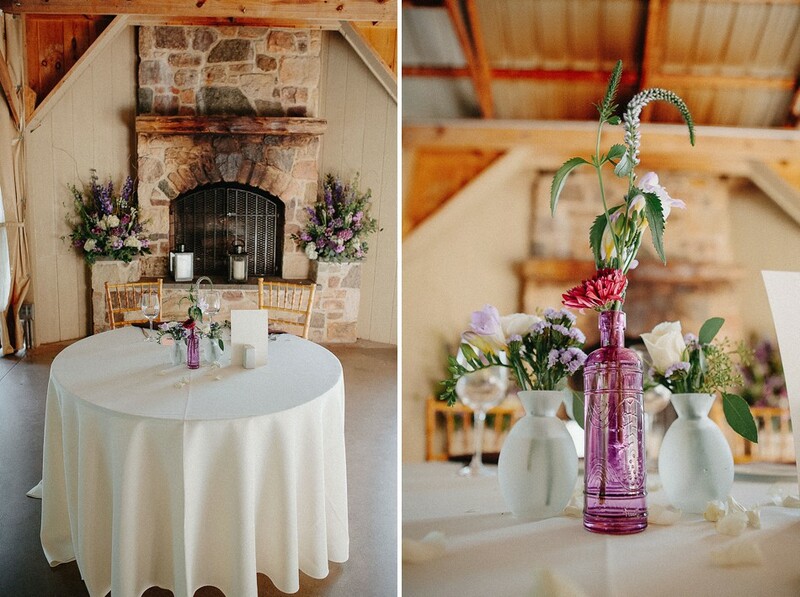 Roxbury Barn is right up there on the top of our list of upstate New York destination wedding venues. 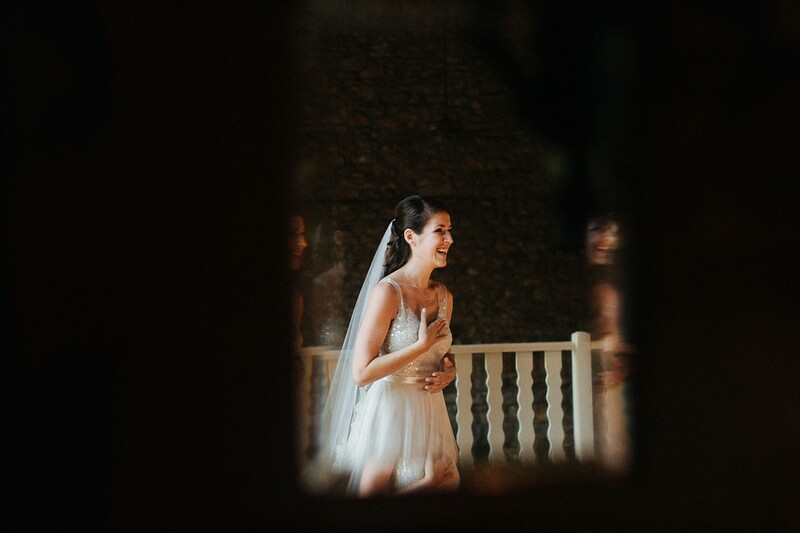 The beautiful Catskills property has an amazing pine grove that's just awe-inspiring (think ceremony here), a series of beautiful ponds, and a truly unique and gorgeous rustic three-story carriage barn. 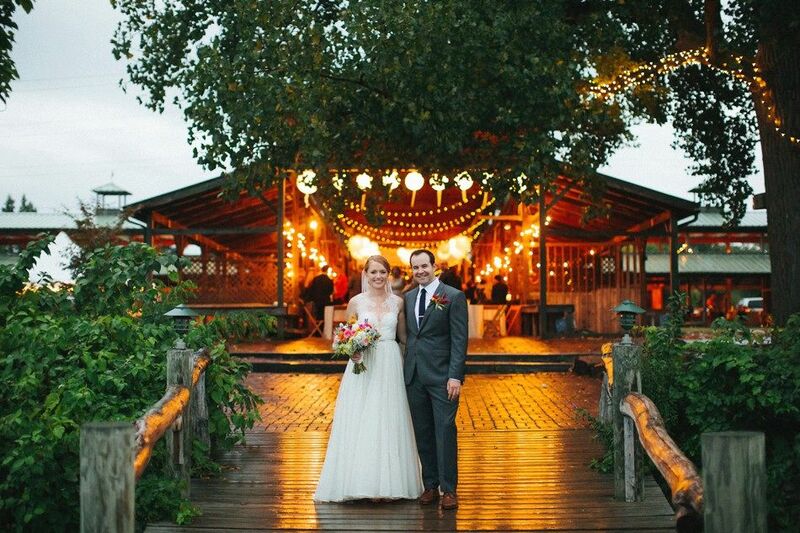 You and your guests will definitely be able to escape the daily grind, and enjoy what a true Catskills wedding has to offer here at Roxbury Barn. 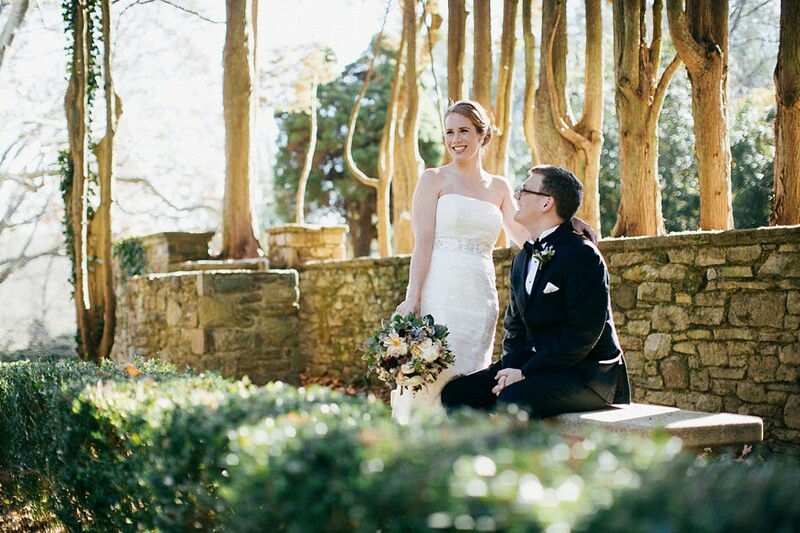 Located in the center of Philadelphia's Fairmount Park, Ridgeland Mansion offers not only gorgeous grounds for your ceremony and reception, but also the beauty Fairmount Park, as well, for other photo opportunities. 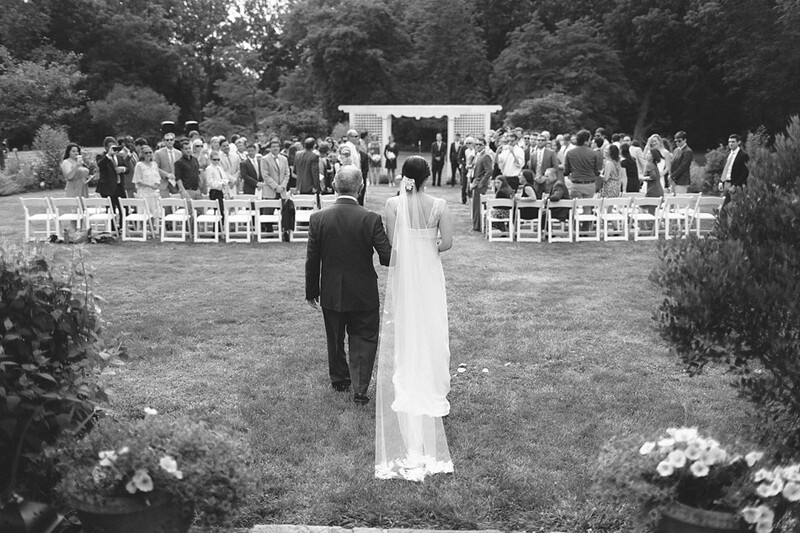 Enjoy your ceremony in their secluded sunken garden, and celebrate your day on the mansion's huge lawn. Think lot's of lawn games here!!! Another gem of a wedding venue here in New York's Hudson Valley. A Shadow Lawn wedding in High Falls, NY is a special and unique event. 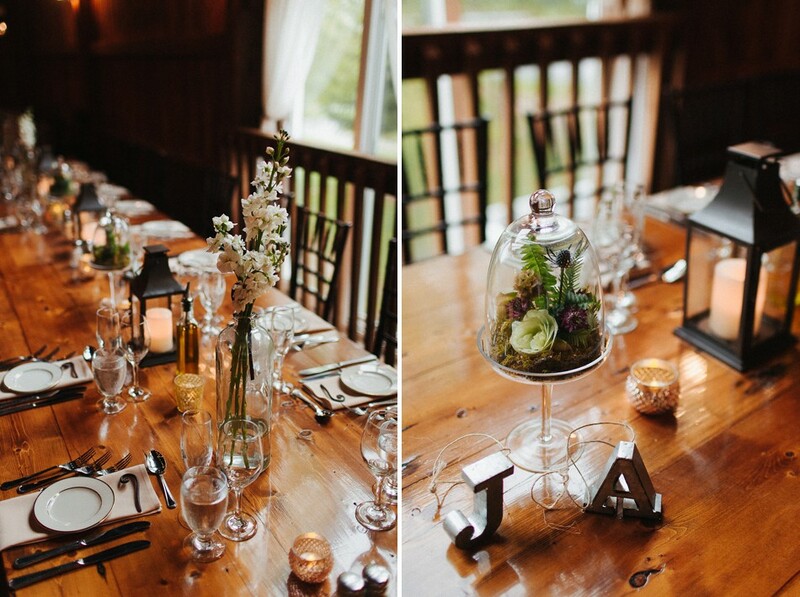 A rustic Catskills wedding complete with a restored 19th century barn. Your guests can enjoy cocktails next to the babbling brook, and take in the serene forest environment during your ceremony. Located in Rising Sun Maryland, the beautiful restored barn here overlooks fields and a beautiful pond on site. With a rustic vibe the property has beautiful gardens and an eclectic collection of antiques. 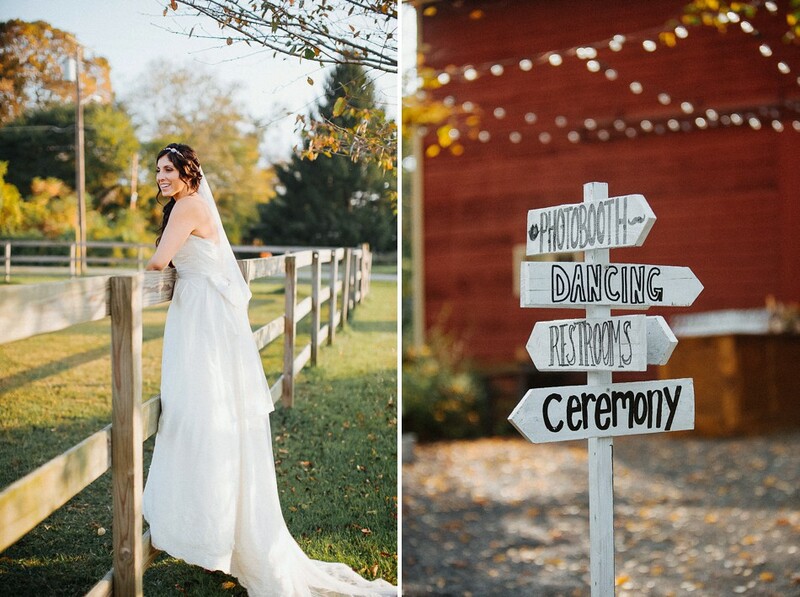 This picturesque venue in Bucks County is surrounded by inspiring scenery. Enjoy pictures by the creek, a quiet ceremony on the lawn, and a tree swing for guests to enjoy. The barn, built in 1837, housed dairy cows. Now restored, this historic field-stone barn is a perfect setting for your rustic inspired wedding. 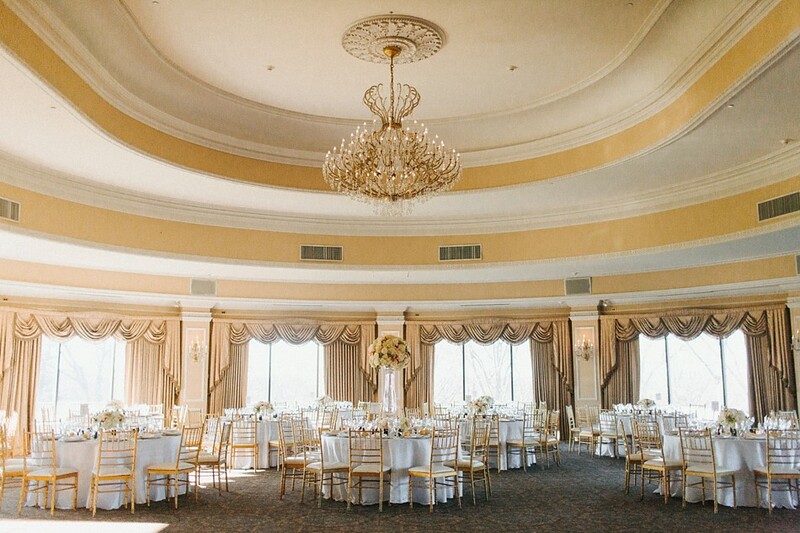 Located in Warren, NJ this venue offers a more contemporary feel to your wedding. 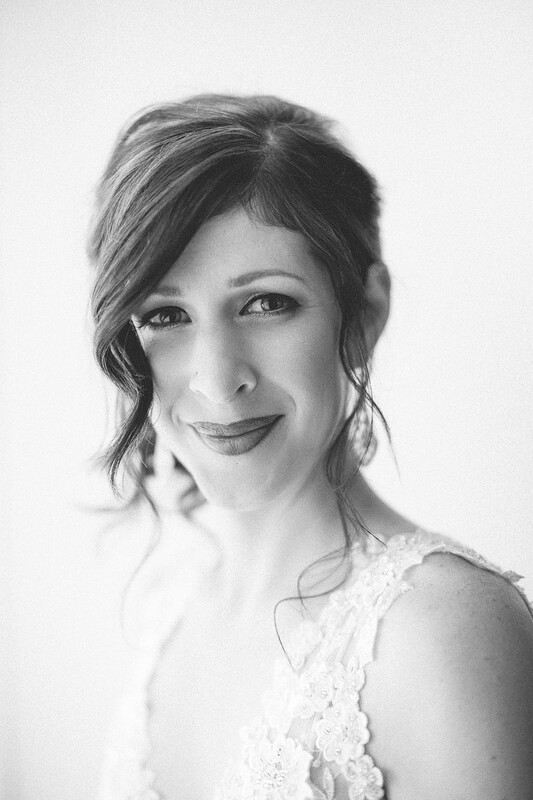 Stone House at Stirling Ridge has the surroundings for a beautiful outdoor ceremony, and portrait locations. You can take pictures there or at the nearby Cross Estate Gardens! Imagine strolling around an outdoor venue and everywhere you look there's a perfectly styled location... That's Terrain. Anthropologie's garden store located outside Philadelphia in Glen Mills, PA. Terrain offers the grounds to couples but has a select area of the property dedicated to your wedding. Get ready in their quaint, beautiful and rustic Mushroom Hut, and then share your vows in front of an amazing pergola. Afterwards your guests can enjoy special cocktails by the fire, and then shake what their "momma gave 'em" in the rustic and always intimately lit Garden Shed. Located in Middletown, CT The Barns overlook beautiful ponds and willow trees. Perfect for portraits and a picturesque ceremony. The barn itself is beautifully light by gorgeous window light and cafe lights strung in the rafters. If you love the beach and you're looking for a more modern and contemporary feel to your wedding you should definitely look at Windrift. Located in Avalon NJ, the beach views are amazing and the hotel has all the amenities needed for an incredible weekend for you and your guests! We love nothing more than capturing weddings on the beach in September and October! Located in the small Delaware River town of Stockton NJ, Woolverton Inn is surrounded by 300 acres of preserved farmland. A perfect get-away for you and your guests. The grounds offer a quaint horseshoe garden, an expansive lawn, and an arbor for a ceremony and reception. Not mention woods, a barn, and sheep! Woolverton also has 13 luxurious rooms for your guests to stay for the weekend.